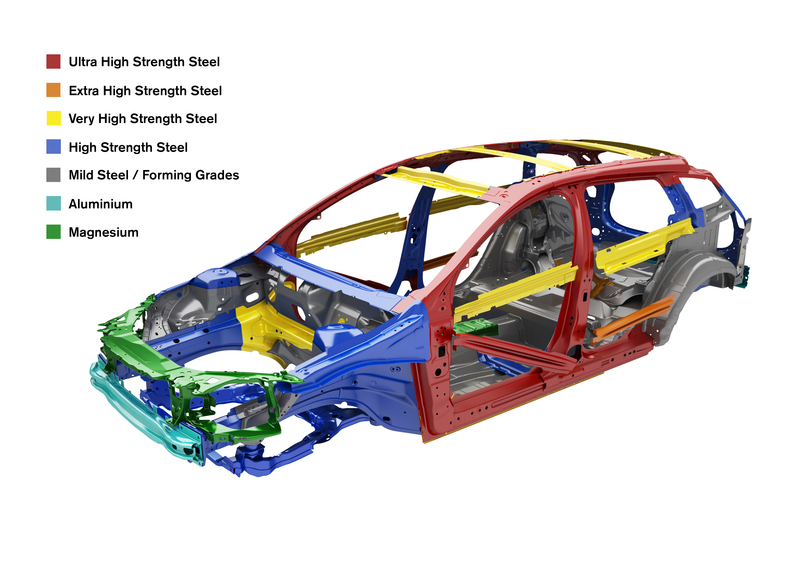 A car’s structure is one of the most important safety features protecting the driver and passengers in an accident. Driving a structural-damaged car can be a matter of life and death. The structure is engineered to work with the car’s other safety components, such as seat belts and airbags, to provide maximum protection for all passengers. Any weakness or flaw in the frame – even a discrepancy as little as eight millimeters – can cause the vehicle to react differently than designed in an accident, endangering anyone inside the vehicle as well as others on the road. Structural damage is described as damage to any part of the main structure, or any component that is designed to provide structural integrity. All modern automobile body and structure members are designed with crumple zones. Crumple zones are a design feature, which allows energy to be absorbed during a crash. They are engineered weaknesses in the frame that let the designers control the way a frame collapses during impact. The frame and body panels fold in a pre-determined sequence absorbing energy while the passenger compartment stays intact protecting the occupants. What Does Structural Damage Mean for My Vehicle’s Safety and Value? Once the crumple zones have been damaged and pulled back out they can no longer be predictable as to how they will collapse during the next impact. Even the engineers who designed these crumple zones cannot predict the outcome of a second time around. However, one thing is for certain, the crumple zones will collapse much faster thereby absorbing far less energy resulting in increased injury to the occupants. This is why it can be a matter of life and death. The value of your vehicle is cut down to almost half once it contains structural damage. Can I Buy a Vehicle with Repaired Structural Damage? If you decide to purchase a preowned vehicle, be sure that the vehicle’s structure is sound. To do this, it is best to ask the dealership for an AutoCheck report. AutoCheck is better at tracking auction cars while Carfax is known for low efficiency with tracking cars at auctions. A good preowned vehicles dealership will have AutoCheck reports.